At DePaul, teaching and learning are our priorities. That might seem obvious, but of the nation's 10 largest private universities, DePaul University is the only one whose faculty prioritizes teaching. We're also the nation's largest Catholic university committed to an educational experience that weaves together mind, place, people and heart. This community welcomes active military and veterans who desire to further their education. 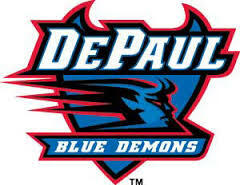 DePaul has nearly 300 undergraduate majors and graduate programs, and is known for its high-caliber graduates, with such a range of majors it would be a great place to use post 9/11 GI Bill education benefits. Many professors are working in Chicago as consultants, researchers, lawyers and entrepreneurs, and their teaching style incorporates real-world experience.